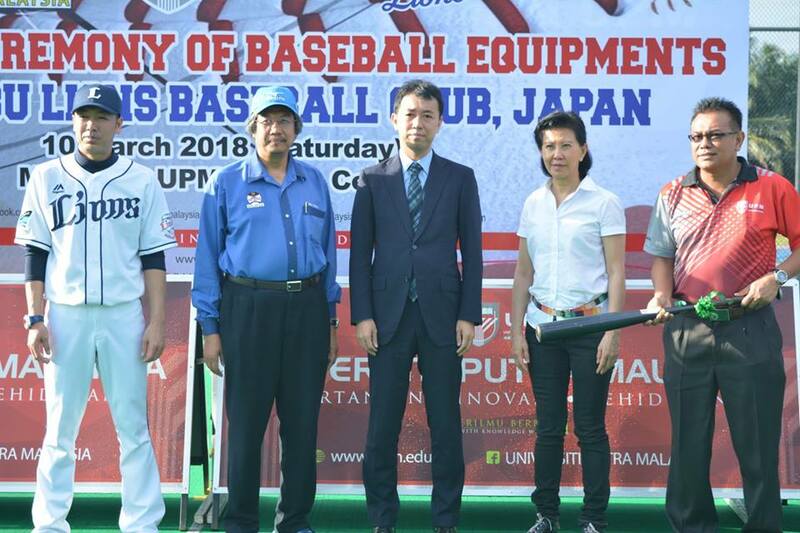 (Kuala Lumpur, March 10) - Universiti Putra Malaysia (UPM) is making history by collaborating with a Japanese government agency and Seibu Lions of Nippon Professional Baseball for Baseball development program in UPM. The program that involved Baseball Federation of Malaysia (BFM) is including coaching program which Japanese government provide a professional coach from Japan to train university’s and national Baseball team. In other hand, Seibu Lions Japan provide the Baseball equipment including bat, gloves and ball to selected schools and Baseball club in UPM and BFM schools adoption program list. 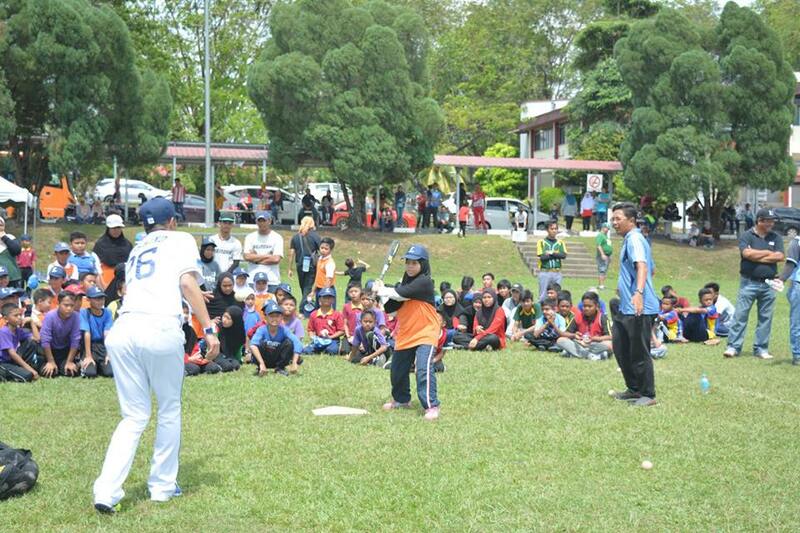 The objective of the adoption program is to promote and develop Baseball at any demographic and education level in Malaysia. This program is believed to produce a great Baseball players for a long term run and looking forward to have our Baseball national team. Currently there are 4 primary and 4 secondary schools in adoption program by UPM and BFM. The Baseball equipment contributed by Seibu Lions Baseball Club will give long term benefit to the schools and Baseball club, as they can have training on their own. On 10 March 2018, there was Handover Ceremony from Seibu Lions to the selected schools and Baseball club that was held at UPM Sports Centre. The ceremony is attended by Dato’ Wan Azman Wan Omar (UPM Registrar, and President of Baseball Federation of Malaysia), Datuk Low Beng Choo (Secretary General, Olympic Council Malaysia), , Dr. Hanafiah Ayub, (Head of UPM Sports Centre), Lt. Kol (PA) Michael Yei Wee Keat (Director, Students Affair and Sports Division, Nilai University), Mr. Fumiteru Nishikawa (1st Secretary, Embassy of Japan), Mr. Manabu Beppu (Seibu Lions Baseball Club), Mr. Masanori Takahashi (Seibu Lions Baseball Club) and Mr. Minoru Ikegami (Coordinator for Volunteer Program, JICA Malaysia) and other agencies. At the same time, a Baseball clinic was held from 9 to 10 March 2018 at UPM Baseball field, conducted by Coach Katsumi Harada and Coach Yoshinari Numata from Japan Baseball Technique Popularization Association. The clinic was attended by SK Serdang, SK Bukit Mahkota, SK Sri Serdang, SK Bandar Baru Bangi, SMK Seri Indah, SMK Sri Serdang, UPM Baseball Team, Putrajaya Baseball Club, Selayang Baseball Club and Pilahdelphia Baseball Club with 150 students participation.